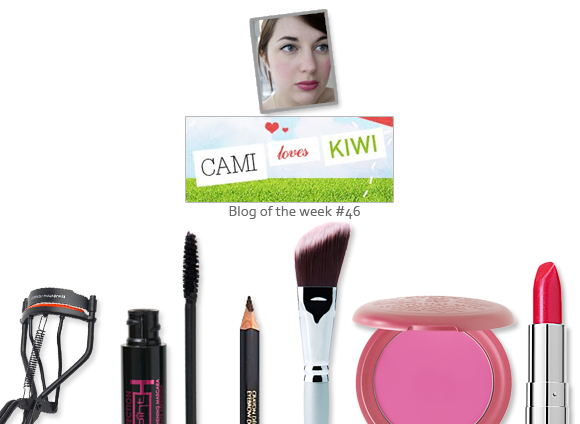 This week’s blog of the week goes out to Cami of Cami Loves Kiwi. The blog is best explained by Cami herself: “A UK-based blog written by a short girl with big eyes who loves red lipstick and T-rexes.” A girl after my own heart. Cami’s honest approach to blogging and her frank prose is a key feature of her blog. If she doesn’t like something she’ll let her readers know in a diplomatic and considered manner. She also provides plenty of visual evidence to substantiate her opinion, which is always one of my favourite parts of any blog. Cami iterates her experience of products and shopping in a series of anecdotes: “anyway, I got snagged by an assistant who was hiding (hiding!) behind the counter…” ; “I should say at this juncture that I am a completely awful candidate for bored sales assistants. I am the queen of ‘Oh, I’ll be back later’…” This quirky and engaging style works so well, and Cami’s blog is a great example of the fun side of beauty blogging. P.S. Check out this post for a look at some contemplative and thought-provoking blogging. P.P.S. She has such a good header. Take a look at the Cami Loves Kiwi blog, and follow Cami on Twitter. This entry was posted on Friday, November 18th, 2011 at 2:00 pm and is filed under Blog of the Week. You can follow any responses to this entry through the RSS 2.0 feed. You can skip to the end and leave a response. Pinging is currently not allowed.